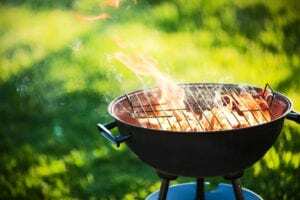 Can Grilling Affect Your Home's IAQ? It’s not summer without throwing something on the grill. A lot of people bring the grill indoors, barbecuing right in their kitchen. But be careful: indoor grilling can have negative effects on IAQ. Grilling with charcoal causes smoke. When you’re outside, that smoke dissipates fairly quickly, but indoors, it can stick around, just waiting for you and your family to bring it in. The biggest hazard is carbon monoxide poisoning. As you’re no doubt aware, if you breathe in too much CO gas, you can die. There are other problems too, though. Smoke particles are small enough to evade standard HVAC air filters. And the smaller the particle, the worse it is to breathe. Smoke causes throat irritation, bronchitis, and exacerbates allergies and asthma. Indoor grilling also causes emissions of Nitrogen Dioxide and hydrocarbons, both of which can irritate the lungs and cause respiratory damage. This isn’t to say you should never grill indoors. But it’s important to know how to do so safely, to prevent ill effects. Here are some steps you can take. You can reduce the amount of danger as you grill by reducing the amount of smoke you produce. Don’t use a lot of oil or sauces on your food. And don’t press down on your meats, as this squeezes the juices out, as they can burn, causing smoke. Keep the windows wide open. Make sure smoke can escape, rather than getting pent up in your home. Get a dedicated air purifier. There are air filters that can eliminate smoke from the air, but they won’t fit in a standard HVAC system. Invest in a dedicated air purifier with a HEPA filter rated 17 or above, to keep your air clean. Certain grills are designed for use indoors. They don’t use charcoal or produce smoke. The effect isn’t quite the same as a traditional barbecue, but it’s still delicious, and much safer. To learn more about grilling’s effects on IAQ, contact us at Rinaldi’s Energy Solutions. We proudly serve Orlando’s HVAC needs.